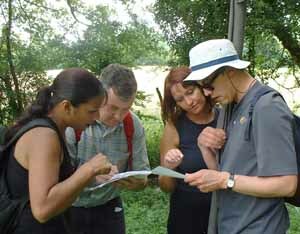 This popular team building event is a unique opportunity for team members to become detectives for the day. This exciting team building game requires teams to loan money to hire equipment for the challenges. Success in these challenges enables teams to make a profit. The most profitable team wins. This team building event is good fun for the young and not so young. It does involve some walking to find the clues, but is not strenuous. Be warned, the exercises will stretch your thinking, and you will find tense moments when all your planning and preparation has to be put to the test! Success depends on the team discovering the identity of the offender and completing the challenges within their budget and time constraints. 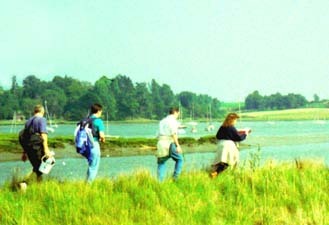 Enjoy a pleasant a walk in the beautiful countryside of Suffolk – A treasure hunt with a difference! This team building exercise is a series of creative and development activities; a fun way to develop creativity, time management, communication and effective teamwork. 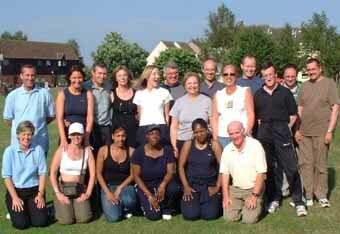 The emphasis is on success through planning, team co-operation, excellent communication and negotiation. The most successful teams consider ALL the options, before selecting the most effective method to achieve the activity. After each challenge we debrief teams to enable them to improve their efficiency for the next one. Our “Who Done It?” takes place in the attractive countryside at Martlesham near Ipswich in the county of Suffolk, England. (Only an hour's train journey from London).